Trade professionals understand that the bathroom is the most important room of their client’s home, as it provides them with the necessities of daily life. At ProSource® of Tempe, we offer many kinds of bathroom sinks, faucets, showers, bathtubs, vanities, and toilets, and we are confident you’ll find the perfect feature to add to your client’s new bathroom. The possibilities are endless when it comes to choosing a brand-new sink for your bathroom remodel, as the trends are constantly changing with new elements, styles, and functions. Here at ProSource of Tempe, we are always one step ahead of the latest bathroom remodeling trends and offer a wide variety of pedestal, vessel, standard, and wading pool sinks for your client to choose from. Bathroom sink faucets are a small but defining feature of any bathroom and have the potential to upgrade your sink to an elegant and sophisticated asset. 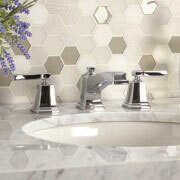 Visit your local ProSource showroom today and choose from our collection of Kohler and Design House bathroom sink faucets. Your client is going to use their new shower nearly every day, so choosing the perfect one for them is a decision that trade pros shouldn’t make hastily. If your client is in the market for a brand-new shower with glass doors, fine stainless steel lining, and a solid foundation, bring them in to our Tempe showroom and we’ll give them a first-hand look at our impressive shower selection. 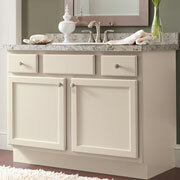 Like the shower, your client is going to spend a great deal of time in front of their vanity. These days, bathroom vanities are available in a wide range of materials, styles, and defining features, so it’s best to leave the decision-making to the pros. Whether your client needs a practical single-cabinet vanity or they want an oversized one with dual sinks, beautiful adornments, and plenty of cabinet space, we’ve got it all right here at our Tempe showroom. 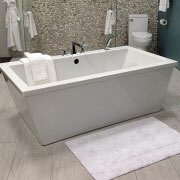 Bathtubs are making a comeback in modern homes and are available in many different shapes, styles, and colors. At ProSource, we offer top-quality alcove, corner, freestanding, and clawfoot bathtubs that are sure to fit the style of any bathroom remodel. 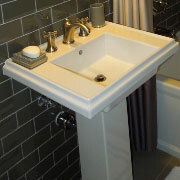 Visit your local ProSource showroom today and ask which kind of bathtub satisfies the needs and wants of your client. 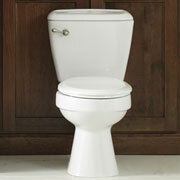 Toilets are yet another essential component of any bathroom and are often overlooked as boring, simple, or even unpleasant. Here at ProSource, we have redefined the possibilities that our low-flow, upscale, and standard toilets can have for your bathroom remodel. Stop by our Tempe showroom today and we’ll show you how to make a statement in your client’s new bathroom with a brand-new wholesale toilet.